Baracoa is Cuba’s best-kept secret – and the bearer of a beautiful natural and human story. It’s a unique example of the authentic Cuba, where you can experience an unforgettable stay far away from the crowds and the noise of all-inclusive resorts. Come to Baracoa and enjoy sustainable tourism the Cuban way! But the region is also a unique natural environment, with beautiful unblemished beaches such as Maguana, Cajuajo, El Manglito, twenty-nine crystal-clear rivers including the Toa (Cuba’s most voluminous) and the Duaba, with the legendary mount El Yunque (The Anvil) between them. Roughly 95% of Baracoa’s territory is comprised of mountains and tropical forest. Here you’ll find the Yumurí Canyon and the Alexander von Humboldt National Park, a UNESCO World Heritage Site within the Cuchillas de Toa Biosphere Reserve, with high levels of flora and fauna endemism. If you are into ecotourism or a nature lover, there’s so much here not to be missed. 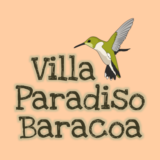 Thus Baracoa offers a wide range of options for those who like hiking or simply strolling in the forest, swimming in pure water rivers followed by a traditional meal cooked by a family in the countryside. Many of these natural places can be reached by bicycle – so those who practise cyclotourism have in Baracoa a must-do region in Cuba. Culturally speaking Baracoa is unique in Cuba. Its geography kept it isolated from the rest of the island for centuries. Located in the easternmost tip of the island, the region has seen waves of both black and white French-speaking migrants from Haiti since the late 18th century. Baracoa is the cradle of the musical rhythms called “nengón” and “kiribá“, the archaic ancestors of today’s “changüí” and “son montuno” – all of them at the roots of modern Cuban salsa. Last but not least Baracoa is also unique for its culinary art, which uses ingredients not found in rest of the island’s fare. These include coconut, annatto, cocoa and a wide variety of fruits. You have to taste fish or seafood in Baracoan coconut milk sauce, or “bacanes” (plantain dough pastels/tamales with crab meat, wrapped in banana tree leaves), “cucuruchos” (a sweet treat made with a mix of grated coconut, guava and other fruits wrapped in palm frond)… all of it delicious and prepared with fresh local ingredients!